Designers are creative creatures and need to be treated accordingly. That’s true they need space, love and beauty around. That’s also true that irritating work related issues that limit creativity and even tie their hands, like coding — do not bring desirable results. Has anybody tackled that challenge to make the life of a designer sweet and happy? Webydo is exactly what we are looking for! It’s a great code generating software service for web designers. But what’s so designer-like here? Webydo allows to literally build a website without any technical knowledge. It plays Adobe Photoshop role for web creators including all the features they love so much in their graphics editing programs. Webydo’s website building methods really care about freedom of self expression and boundless opportunities. Just what a web designer needs! As a company whose technical brain is overflown with a creative component, of course we got attracted to this inspiring startup and interviewed the CEO and a cofounder of Webydo, Shmulik Girizm. Me: First of all, Webydo is an interesting title and sounds fun. I can’t but ask what it means? 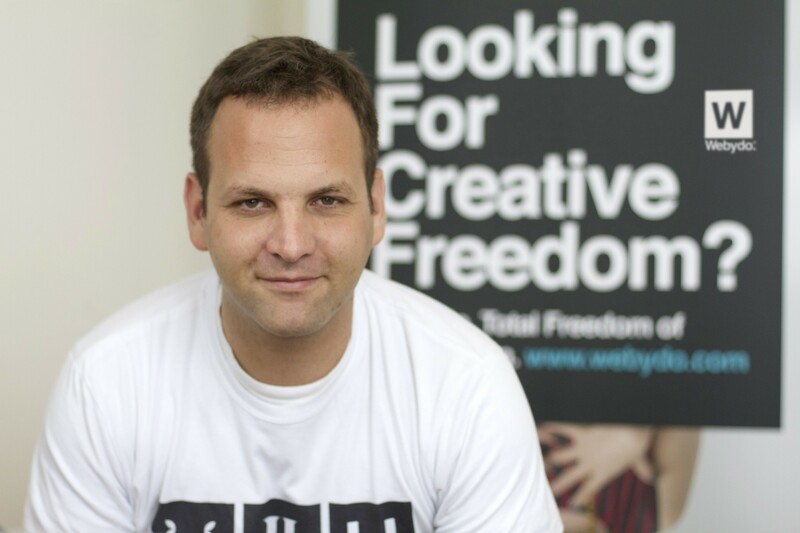 Shmulik: Webydo stands for — Web — Be — Do! Check this video for a proper pronunciation. We believe that the web is a creative medium that should be led by creative designers. 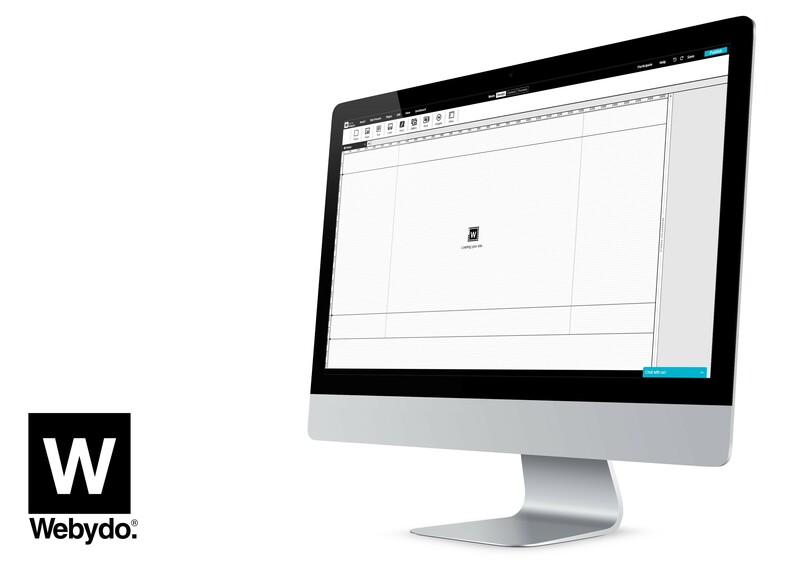 With Webydo, designers can finally enjoy total creative freedom and independence. Designers can design and manage their client’s websites from scratch, in browser, and see their web design in action, immediately, with no middlemen and without writing even one line of code. Direct path from vision to execution! Me: How did you come up with the Webydo idea? Did it take you long to start implementing the project you had on your mind? Shmulik: My partner Tzvika Steinmetz and I were leading a big web agency and felt frustrated by the fact that majority of website creation budget (more than 70%) is going towards the repetitive development of handwritten code. We wanted to liberate our designers and enable direct communication between designers and their clients. Webydo believes, designers should be the leaders of website creation and we wanted to develop a platform that will enable them to control the whole website creation process independently. With Webydo designers can finally create sophisticated websites in a process that is ten times cheaper and faster without writing even one line of code. That’s a real revolution. At first the Webydo solution was developed for in-house use, but when we realized the power of the technology, we’ve decided to share it with the global design community. Me: There is no great product without hard work. What was the most complicated thing you had to go through during Webydo’s starting phase? Shmulik: Webydo has a very passionate team, but relatively small. Developing a technology that can provide a solution for a problem, huge corporations, such as Adobe, are still struggling to achieve was a tremendous challenge. The main thing that helped us was the constant feedback we got from our devoted community of designers. Webydo is a community led platform and our 57,000 designer’s community are setting our roadmap for development and determining our future. Designers participate in a long feedback session, suggest new features in our onlineParticipate forum and vote which features should be developed first. Me: With all the great designer features included into Webydo what do you think there is still to work on? Shmulik: One of the great challenges in the web today is the need to design websites for a rich variety of screens available. Webydo’s websites are responsive and our powerful code generator automatically converts your design into high standard-W3C validated HTML5 code, ensuring your site will look exactly as planned across all browsers, platforms and devices. Webydo’s websites are actually ranked in the top three highest qualitative traffic according to W3Tech’s recent survey. We are in the midst of developing an amazing editor feature that will provide designers with even more freedom and pixel precision when designing sites for all screens and devices. More than that, Webydo is a community led platform and our designers are deciding which features should be developed next. Some of the features designers requested went live in less than two weeks! Following recent community votes, parallax scrolling will be added to the platform this April, as well as extended image gallery options. Me: From an interview with Shmulik Grizim published to the Huffington Post: «Good design shows you that the service was born out of a thoughtful process that puts human experience at the center.» What design do you believe catches most attention of the customers? Could you give us your own criteria of a really good design? Shmulik:I think the creative process shouldn’t be confined to formulas or strict rules. Good design is a design that fits its context and provides a rich human experience. To achieve this goal good design must be playful, bend our expectations, surprise us and call our attention to the details. I’m a great believer in minimalism. It’s a great challenge to pose the question — what will happen if we subtract one of the design elements? Fewer colors, fewer font types, more negative space. Is it still working? Minimalism forces us to confront the essential elements and strengthen our design. However, density and complexity can be beautiful when well composed. There are no formulas behind the achievements of great writers, filmmakers and any other artists. Similarly, web designers are re-structuring our sense of what good design is on a daily basis. It’s an eternal dialog between designers and their audiences and this is why we believe our culture must empower the creative people. Me: Who do you see as the main competitor in such code-free websites industry? What is your main advantage? Shmulik: There are great DIY code-free platforms for amateur users with no prior knowledge of web design (such as Weebly, Wix or Squarespace). These simple B2C solutions target users interested in creating a basic website on their own by modifying pre-designed websites. However, these simple solutions are not suitable for professional website creation and less than 3% of the websites are created using these tools. This is why the Webydo B2B platform is so revolutionary. 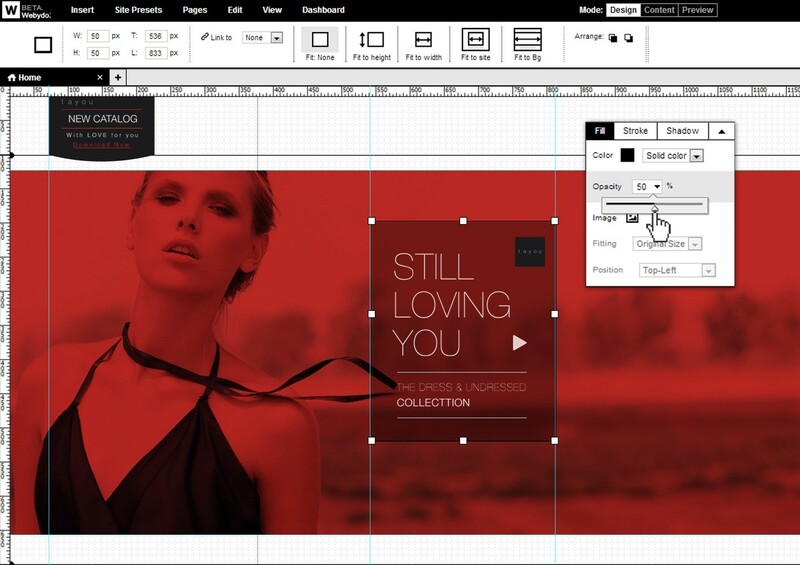 We managed to develop a technology that enables professional designers to start designing from scratch, in browser, with a Photoshop-like cloud software that gives them the same total creative freedom they have when designing for print but offers a full solution for all their web design needs without coding — from designing websites, to managing, hosting and even client billing. Following our community requests, we added a «white label» feature that enables designers to re-brand the system and present it to their clients under their own web design brand. Some of the designers using Webydo have already created thousands of sites for their clients using Webydo’s cloud software and that is our vision for designers all over the world, we want to empower designers and help them build a strong independent web design business and conquer the market. Me: Can you tell a bit about the best examples of the websites created by Webydo? Shmulik: There are thousands of websites added every week. I personally like a website called Stella & Lori because of the playfulness of the animation. 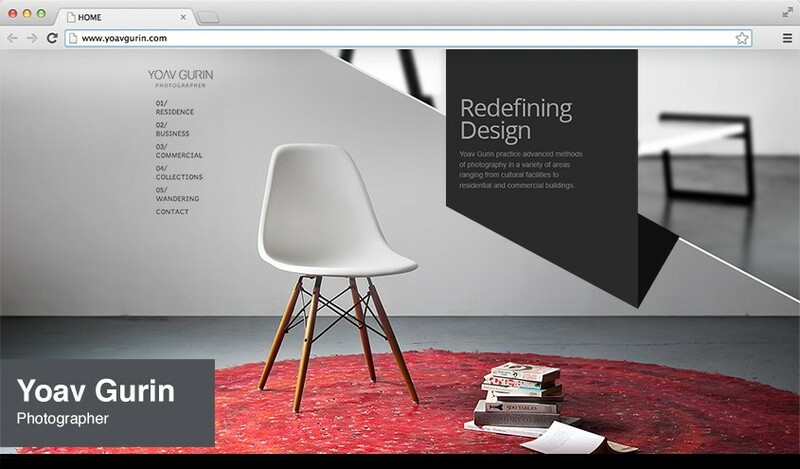 And the site called Gurin Yoav for its minimalism. Me: With certain amount of investment I bet you have lots of new thoughts and plans. What is there ahead of Webydo? Shmulik: We will continue to add more requested features in order to strengthen our community of 57,000 designers and provide the ideal work environment for web and graphic designers worldwide. We believe that empowered with total creative freedom and independence designers will shape a better-designed web for us all. Me: That’s a great perspective! Thanks a lot for sharing your experience with us. Yalantis wishes you and your designers’ community to achieve most promising horizons!